The issues facing many organisations are as challenging today as they’ve always been! How do you compete successfully for new business, and at the same time satisfy the (often demanding) needs of your existing customers – whilst also staying competitive and striving to increase market share? That’s quite a challenge.. in any market! For example, are any of the following statements a concern to you and your organisation? Funding Issues / Budget constraints! Systems, solutions and services not fully integrated! Little or no ‘joined up’ thinking! Scorpio Connect can provide a comprehensive range of Strategic Planning and Business Consultancy Services that can help your organisation tackle the above – efficiently and effectively! It makes no difference what sector or industry you’re in, the challenge for your organisation is fundamentally about FOUR things… INNOVATION, CHANGE, PEOPLE and COMMUNICATION! 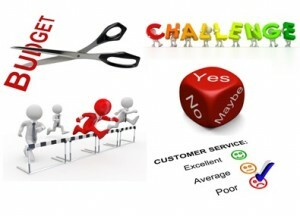 The business challenge for many organisations is recognised in many different guises. For some organisations, it’s about taking a leap of faith, and entering a new market or starting a new enterprise for the first time. A daunting step indeed for many, but this need not be so, providing all the necessary steps are taken to ensure success and by not making mistakes along the way. Is there risk of failure? Of course there is, because you can never guarantee success. But it’s how you manage, control and minimise that risk… and have you done your due diligence and your research! For some organisations it’s a question of recognising that their customer base has eroded – so they need to re-invent themselves in some way, and re-engage with their customers to find out what products or services they not just want, but need – and then see how they should be delivering these. For others, their products or services have become ‘tired’ or ‘out of step’ with the competition. They need to re-discover their speciality (their niche) and their USP’s. They have to renew their success and regain their competitive advantage. Has your market changed, moved on or is it just different now, and you haven’t reacted quickly enough to this change? Is your cost base way too high? How can this be reduced – without just ‘slashing’ staff numbers? Where are the excessive costs? Where is the duplication of effort, the duplication of systems, the duplication of resources? It’s about identifying where the inefficiencies are, where the wastage is, where products and services can be improved, where staff can be better utilised or better deployed, introducing targets and performance measurement and re-building the whole management ethos! But first, what stage are you at with regard to establishing change? How are you looking to transform your organisation, particularly with regard to any digital strategy that you are considering.. or even implementing? Whichever position you are in right now, see what we mean by Transformation.. and Digital Strategy.